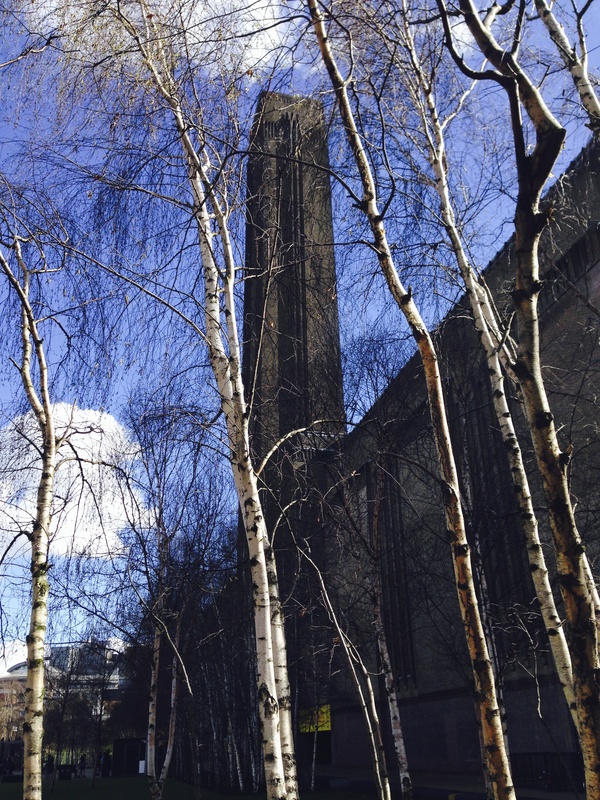 This weekend we went to London and explored the Tate Modern with Peanut’s daughter – The Elf and our son-in-law Fandango. We went with an open mind looking to be fired up by what we saw. 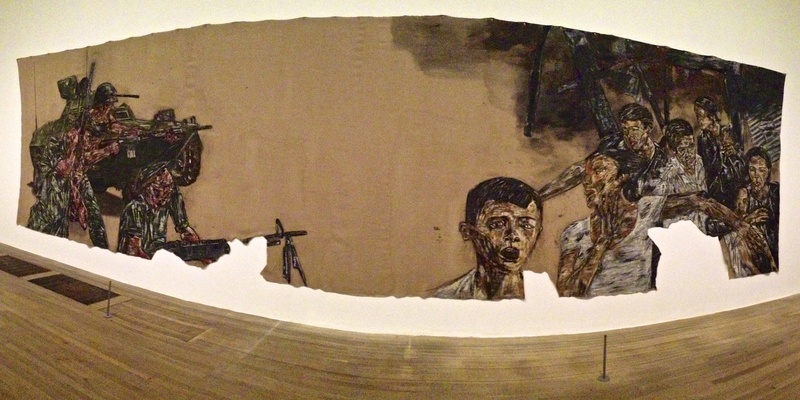 A painting on Sackcloth depicting the Vietnam war hit the spot for all four of us and you can see this painting below. 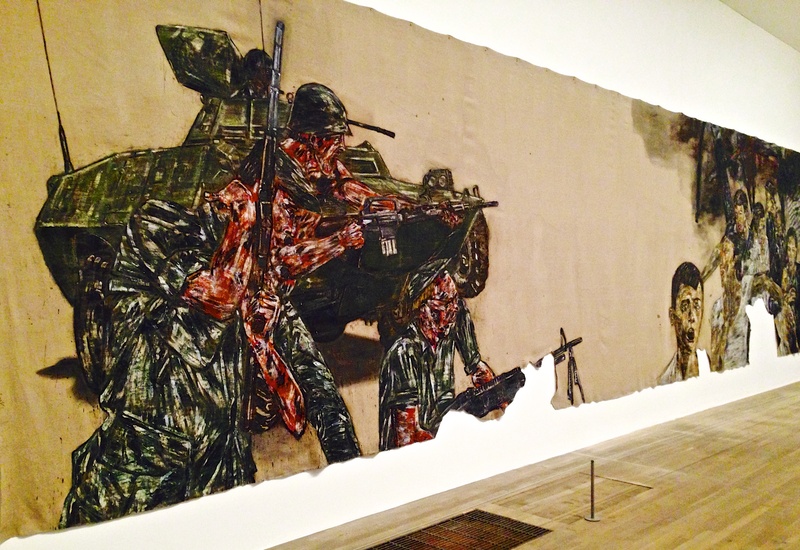 On the left is depicted the military might of the USA with a tank and soldiers and machine guns all in military green camouflage attire and all the weapons pointed to the Vietnamese shown on the right looking forlorn and despairing. A distinct gap on the canvas separates the two factions and provokes further thought. Read on to share our discovery of William Eggleston. To be honest little else fired us up, or inspired us from the perspective of our photographic work, with perhaps the exception of some of the living art that was to be seen. The big exception to this though was a display of some of the work of William Eggleston. 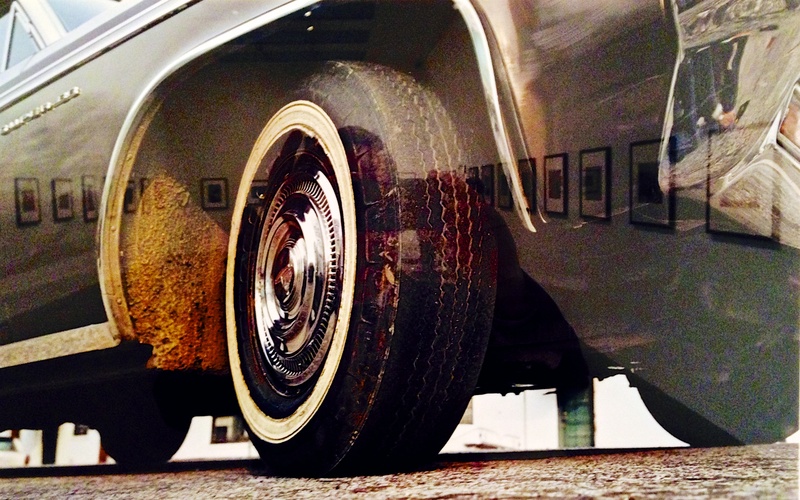 I elected to photograph one of his pieces on display, which I thought captured the essence of his work and perhaps one of the first examples of the latest social media driven fad – The Selfie – as we can see him reflected in the fender of the car! Accompanying the display of Eggleston’s work at the Tate was a brief introduction to Eggleston and his work, which I have reproduced here. Known for his rich and complex images of the American South, William Eggleston is largely credited with establishing the acceptance of colour in fine art photography. Eggleston began to experiment with colour in the 1960s. At that time, colour photography was principally associated with commercial industries such as advertising, and was considered unsuitable for fine art photography. In 1972 he started to make prints using a highly complex and expensive process called ‘dye transfer’, which allows various colours within a photographic print to be printed as separations. Each colour is printed in its richest form, maintaining strong red and green tones within a single image. The prints are also extremely durable and will not fade. Mostly shooting in and around his hometown of Memphis, Tennessee, Eggleston depicts the banal and everyday. His work is frequently characterised by elements such as bold colourful interiors, cars and gasoline stations, and portraits of individuals known to Eggleston as well as strangers encountered in the street. Eggleston pays close attention to the formal organisation of the frame, often employing diagonal lines and reflections, but he also relishes strong contrasts in colour with vivid reds, blues and greens. Though these images record a particular place at a certain point in time, Eggleston is not interested in their documentary qualities. Instead, when asked what he is photographing, Eggleston simply answers ‘Life today’. William Eggleston was born in 1939 in Memphis, Tennessee, where he lives and works. The Independent amongst others has described Eggleston as “The Godfather of Colour Photography.” I think for me the inspiration I derive from Eggleston is two fold. First his place in the history of photography as the man who made colour photography acceptable as main stream art and secondly, his use of that colour and his eye for detail and the banal. 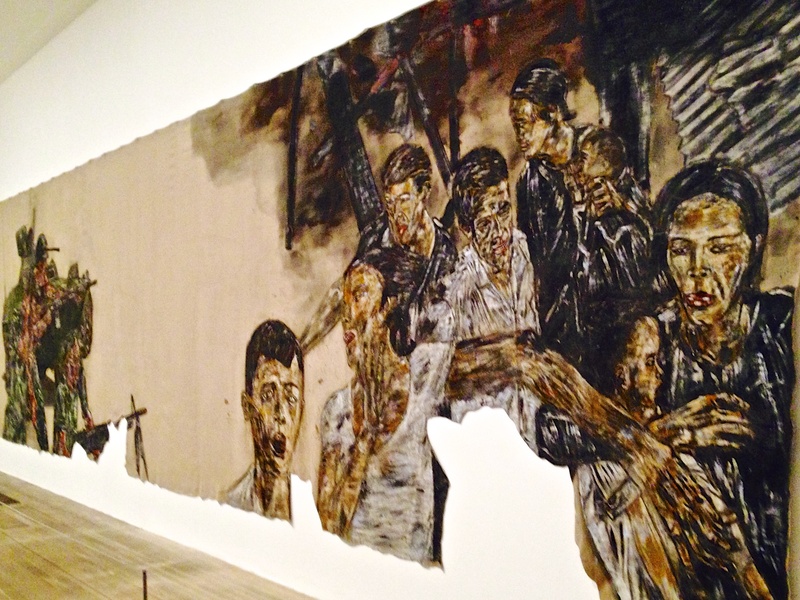 Take a look at this article from The Tate. It shows much of what I saw and is the best way to explain why Eggleston is rightly The Godfather of Colour Photography. By the way all of these photographs are taken on my iPhone. So freshly inspired by Eggleston I dived out of the Tate to photograph the rest of our day in London with a groovy chrome filter applied to all my photos and the inspiration of Eggleston, driving my pictures. 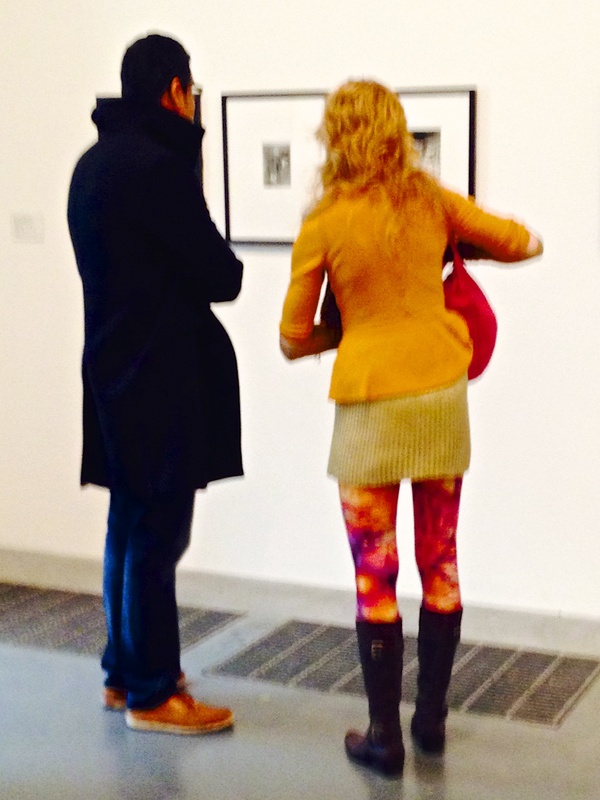 what kind of tights was the ‘living art’ female wearing?! Isn’t it amazing how color photography has so taken over from B&W. I didn’t realize this occurred only in the ’60’s. Quite fascinating. ..er too polite to ask the artist what medium she was creating her art with! Yes fascinated me and i learnt something and was inspired by it at the same time!